Did You See Who is Featured In Season 2 of Pokerography? A smorgasbord of famous faces will be featured in Poker Central’s documentary series. 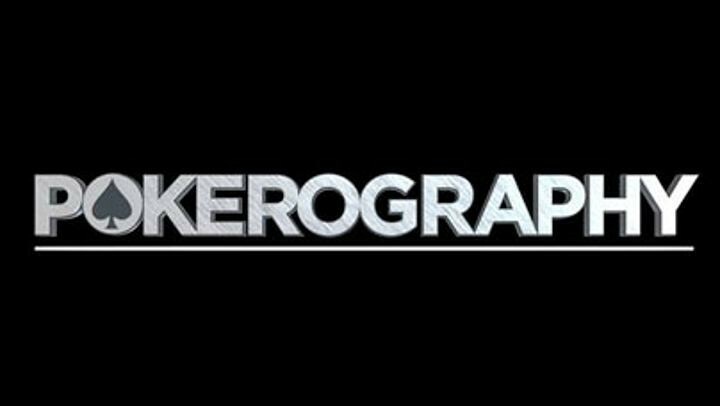 Pokerography, a series bought to you by Poker Central, is back for a second season and will air in the fall of 2016 on Monday’s at 9 ET. The show focuses on the lives of some of the greatest poker players in the world. The star studded line up includes famous faces such as Jennifer Tilly, Jason Mercier, Brian Rast, Liv Boeree, Maria Ho, Celina Lin, Johnny Chan, Jonathan Little, Nick Schulman, Chris Moorman, Jason Koon, Isaac Haxton and Byron Kaverman. The show explores what makes these poker legends tick and includes interviews with family, friends, rivals and experts. Chris Moneymaker, Phil Laak and Michael “The Grinder” Mizrachi were all featured in Season 1. Have You Got What It Takes To Become A Poker Pro? Kara Scott & Rupert Elder discuss why it might be harder than it seems. British poker pro, Rupert Elder sits down with Kara Scott from 888poker to discuss what it takes to become a professional poker player. They talk about the toll poker has on health, wealth and relationships – adding in a few personal stories of their own. Onto the question of, 'who should go pro in poker?' Here's a look at chapter 1 of the #888poker e-book on the topic, with UK pro Rupert Elder and I chatting through the 3 big categories of your life that could be affected – your health, your wealth and your relationships – with a few personal stories. Video url in my bio! DO YOU TELL PEOPLE THAT YOU PLAY GAMES ONLINE? People are playing poker like never before. In fact, a study by Ingo Fiedler and Ann-Christin Wilcke shows that in 2010 about 6 million players from all over the world paid about 3.6 billion USD to the poker operators. Six years down the line and that number has hardly diminished, but does that mean that people openly share their betting habits or are most still reluctant to let others know about their online gaming hobbies? Do you know anyone who doesn’t enjoy a game online every now and then? The predictions for smartphone use point towards well over 230 million users by 2019 in the US alone, and smartphones are essential when it comes to games. If you look at sites like APNET that offer casino recommendations, it is clear to see that most modern gaming portals are made to meet the new demands of on the go play. But when we play games on our phones, anyone can see it, and therefore some people stick to playing at home at the computer. The reason for this is not necessarily because they are embarrassed to admit that they play poker or casino games. Sometimes people who find out that you play poker take it for granted that you are willing to share the trade with them or that you are interested in lengthy conversations about different games, which you may not be. But one thing is for sure, the fact that more people gamble online, at home and visibly on their smartphones makes it more accepted to do so. Therefore it is really not such a big deal to tell that you play online poker or in a casino online. Most people won’t think that you’re strange, as there’s a good chance that they enjoy the same sort of pastime. One good reason for not telling people about your poker games online is because you need to keep a poker face. Once your nickname is out, other players will know just who you are, which can be a disadvantage if you play in the same poker room. Skill games demand a level of secrecy, especially when your betting style will be a key to your cards. If a person playing in the same poker room as you asks if you also play there, you might find yourself in a jam. But don’t worry. You can always say that you only play there occasionally and you can avoid sharing your real nickname. This way you can continue eating fish at the beginner tables without people finding out. Just when you think you have heard and seen enough of Phil Hellmuth, you realize he is set to appear in Season 2 of Billions—the HBO drama that stars Homeland’s Damian Lewis—and there is no escape. For those of you who haven’t seen Season 1, Billions is loosely based on the activities of Preet Bharara—who you may remember as being the U.S. Attorney who was instrumental in taking down Full Tilt Poker and others on Black Friday. The series also features the brilliant, Paul Giamatti. The series is co-created by Brian Koppleman of Rounders fame, so the poker scenes with Hellmuth and Brandon Cantu should be good. See the behind the scenes tweets from Hellmuth (as he poses with the cool girls) and Cantu as they become actors for the day. 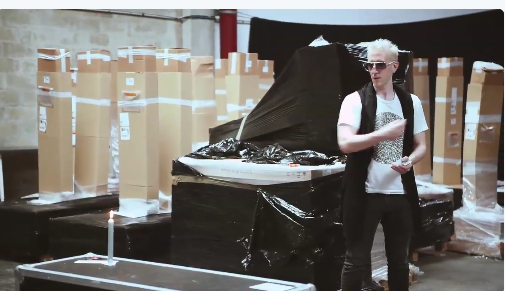 a href=”/tags/bertrand-grospellier/” class=“taglink”>ElkY shows off his skills, as he releases his first #RasieIt video. Unlike all the other trick shot videos that have come out, this shows ElkY actually practicing before he makes his shot. George Danzer goes for it as well. Tune in to the latest episode of Polker News as Doug Polk addresses criticism about his last episode. He then goes on to talk at length about folding quads—but the best bit comes at the end when he takes a pop at Daniel Negreanu and PokerStars. Watch it in all its glory here. 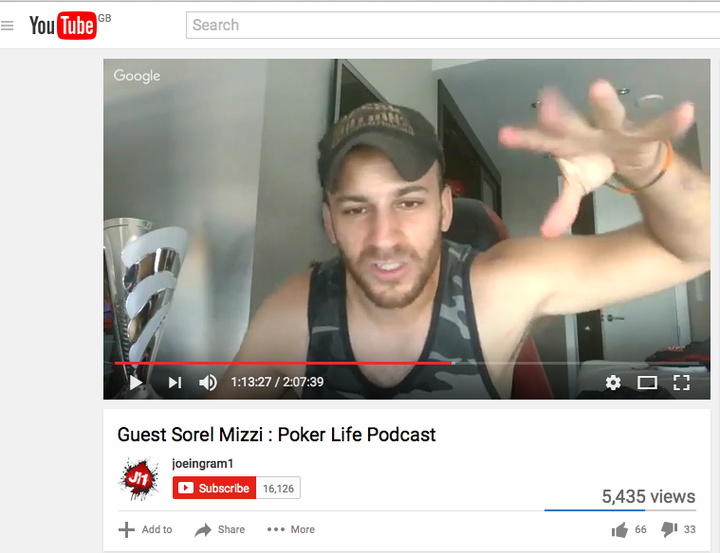 Sorel Mizzi certainly divides public opinion and his appearance on Joey Ingram’s Poker Life Podcast is no different. Joey didn’t even do his customary shout outs at first because the comments were that bad. Mizzi launched straight in to talk about his multi-accounting scandal and to him why there is a difference between cheating and breaking the rules. He also talks about creating his own “moral universe”. He also talks about how in his opinion, software gives players more of an edge than account sharing. The event will be held at the Lady Luck at the bottom of Pompano Beach. Lady Luck, a 324-foot tanker is now located at the bottom of the sea in South Florida between 115-120 feet below the surface. As well as becoming an artificial reef for marine life and a new attraction for scuba divers there are plans to host a charity poker tournament that will start at the Isle Casino in Pompano Beach and end with the six finalists playing underwater on Lady Luck at one of the ship’s gaming tables. Apparently there is also a craps table set up. You can get more info on Lady Luck here. This wont be the first time there’s been an underwater poker tournament for charity either! She talks work ethic, education, going deep in the Main Event & always having a backup plan. 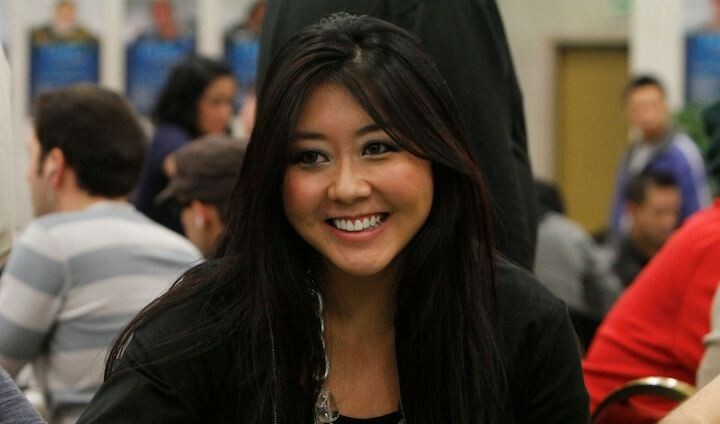 Maria Ho gets personal on a recent episode of PokerNews’ Remko Report as she delves into her work ethic, the WSOP, growing up in a strict Chinese household and how that has shaped her life as poker player. She also talks about why she doesn’t like selling pieces of herself, playing mixed games, the conversation surrounding Women in Poker and having thick skin. She had a great run at this year’s WSOP, was the keynote speaker at the Women in Poker Hall of Fame inauguration and is currently the Team Manager of LA Sunset of the Global Poker League. 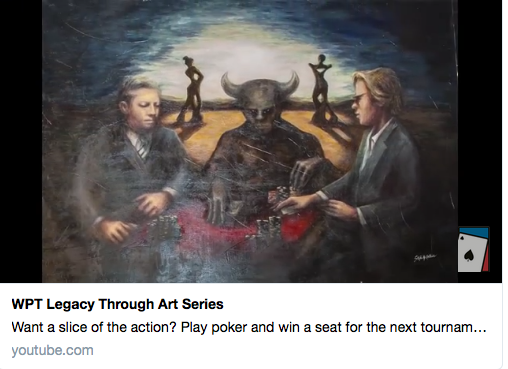 Is This The Weirdest Piece of Poker Art Yet? Art is subjective. I know that. Everyone knows that. But really…This is how Mike Sexton and Vince Van Patten are getting honoured by the WPT? Apparently Sexton was lost for words once the painting was unveiled—to be honest I think I would be too. The picture depicts Sexton and Van Patten sitting between a minator which is meant to represent fear but to me it looks like they are playing with the Devil —which maybe isn’t the best representation of your career.